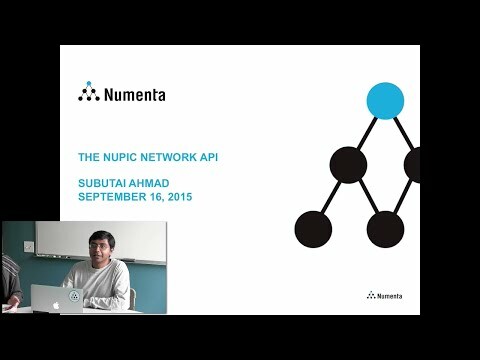 The Numenta Platform for Intelligent Computing (NuPIC) allows programmers to design, create, train, test, and deploy Hierarchical Temporary Memory (HTM) technology. As described in the NuPIC 2 Overview document, NuPIC consists of a Network Engine library along with layered software including examples and frameworks. Core HTM functionality is provided by the Network Engine, which can create and manipulate HTM Networks. An example HTM network is shown in Figure 1. Currently a Region is logically composed of one or more Nodes. The Node class may be removed, as it does not appear to be necessary with the new algorithms. If Node is removed, Dimensions and NodeSet will also be removed. The Network Engine design allows “zero copy” links, in which a Region’s input is a reference to an output of another region.